The Envolve family of health solutions is committed to providing the highest quality service possible to our members. As part of that commitment, our companies have undergone examination by a number of accreditation bodies to ensure that they meet the highest standards possible. Envolve's family of companies will continue to hold to these best practices to bring those we serve the high quality of care they've come to expect. The Joint Commission The Joint Commission on Accreditation of Healthcare Organizations is a private, not for profit organization established in 1951 to evaluate health care organizations that voluntarily seek accreditation. The Joint Commission evaluates and accredits more than 16,000 health care organizations in the United States, including 4,400 hospitals, more than 3,900 home care entities, and over 7,000 other health care organizations that provide behavioral health care, laboratory, ambulatory care, and long term care services. The Joint Commission also evaluates and accredits health plans and health care networks. It is governed by representatives from the American College of Physicians, the American College of Surgeons, the American Dental Association, the American Hospital Association, the American Medical Association, an at-large nursing representative, six public members, and the Joint Commission President. URAC - Specialty Pharmacy Accreditation URAC is one of the fastest growing health care accreditation agencies in the world. It will continue to develop new standards for the health care system and revise existing ones to promote national standards and to ensure that all stakeholders, including consumers and providers, are protected. NCQA - Utilization Management Accreditation The National Committee for Quality Assurance (NCQA) is an independent 501(c)(3) non-profit organization in the United States that works to improve health care quality through the administration of evidence-based standards, measures, programs, and accreditation. The private, nonprofit organization operates on a formula of measure, analyze, and improve. And it aims to build consensus across the industry by working with policymakers, employers, doctors, and patients, as well as health plans. URAC - Pharmacy Benefit Management Accreditation URAC is one of the fastest growing health care accreditation agencies in the world. It will continue to develop new standards for the health care system and revise existing ones to promote national standards and to ensure that all stakeholders, including consumers and providers, are protected. United Way: "Best in the West" Voted “Best in the West” by the United Way of Fresno County, Envolve Pharmacy Solutions (as legacy US Script) captured the Best New Company Campaign award in its first fundraising effort for the non-profit agency. In April 2013, Envolve Pharmacy Solutions was selected as the LIVE UNITED Circle of Excellence Award recipient for going above and beyond to serve our local community, and for inspiring hope and bringing about positive change. The United Way works closely with companies that encourage their core values to Give, Advocate, and Volunteer. Envolve Pharmacy Solutions is proud to be a continual partner of the United Way. NCQA - Managed Behavioral Healthcare Organization Accreditation Cenpatico has received NCQA Managed Behavioral Health Organization Accreditation. MBHO Accreditation demonstrates that an organization complies with evidence-based practices for high-quality care, access, and consumer protections. The National Committee for Quality Assurance (NCQA) is an independent 501(c)(3) non-profit organization in the United States that works to improve health care quality through the administration of evidence-based standards, measures, programs, and accreditation. The private, nonprofit organization operates on a formula of measure, analyze, and improve. And it aims to build consensus across the industry by working with policymakers, employers, doctors, and patients, as well as health plans. Envolve PeopleCare has received NCQA Wellness & Health Promotion Accreditation With Performance Reporting for our Lifestyle Management services. Wellness & Health Promotion Accreditation comprehensively evaluates key areas of health promotion, including how wellness programs are implemented in the workplace, how services such as health coaching are provided to help eligible individuals develop skills to make healthy choices and how sensitive health information of eligible individuals is properly safeguarded. Envolve PeopleCare received full NCQA accreditation for Patient and Practitioner Oriented Disease Management, the most comprehensive disease management accreditation available; offering the most automatic credit to contracted health plans seeking accreditation. URAC - Health Call Center Accreditation Envolve PeopleCare’s US-based, brick-and-mortar Clinical Care CentersTM have achieved full Core and Health Call Center accreditation from URAC, the foremost health care accreditation and certification commission and have maintained accreditation since 2004 (via the legacy NurseWise company), and have never been denied an accreditation or certification. This certification exemplifies Envolve PeopleCare’s commitment to quality health care services and serves as a framework to improve business processes through benchmarking organizations against nationally recognized standards. 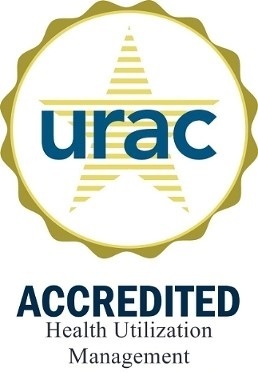 URAC is one of the fastest growing healthcare accreditation agencies in the world. It develops standards for the healthcare system and revise existing ones to promote national standards and to ensure that all stakeholders, including consumers and providers, are protected. AAACN Our nurse advice line has embarked on an initiative to have 100% of our RNs AAACN certified. The AAACN is the premier nursing organization for RNs in ambulatory care settings and is devoted to advancing the art and science of ambulatory care nursing. As part of AAACN, we have access to formal education programs specific to telehealth nursing that extend the extensive training we offer within our own company. PPAI Our nurse advice line offers our non-clinical frontline staff advanced training opportunities to gain certification as a Professional Patient Advocate through a partnership with the Professional Patient Advocate Institute. This certification provides our non-clinical frontline staff members the opportunity to build their skills and ensure patients have the best-possible experience. Earning this certificate also meets the advanced education criteria required for career track promotions within the company. A Certified Patient Advocate is trained to ensure all individual patients have a voice in their health and health care and how to assist patients as they navigate the complex health care system. The 11-week Professional Patient Advocate Certification Program is another way we provide safe, quality, evidence-based care. NCQA - Certification in Utilization Management/Credentialing The National Committee for Quality Assurance (NCQA) is an independent 501(c)(3) non-profit organization in the United States that works to improve health care quality through the administration of evidence-based standards, measures, programs, and accreditation. The private, nonprofit organization operates on a formula of measure, analyze, and improve. And it aims to build consensus across the industry by working with policymakers, employers, doctors, and patients, as well as health plans. URAC - Health Utlization Management Envolve Dental received a full, three-year accreditation for Health Utilization Management (UM), version 7.3 from URAC, an independent, non-profit healthcare accrediting organization that establishes quality standards for the healthcare industry. This accreditation exemplifies our commitment to quality healthcare services and care.